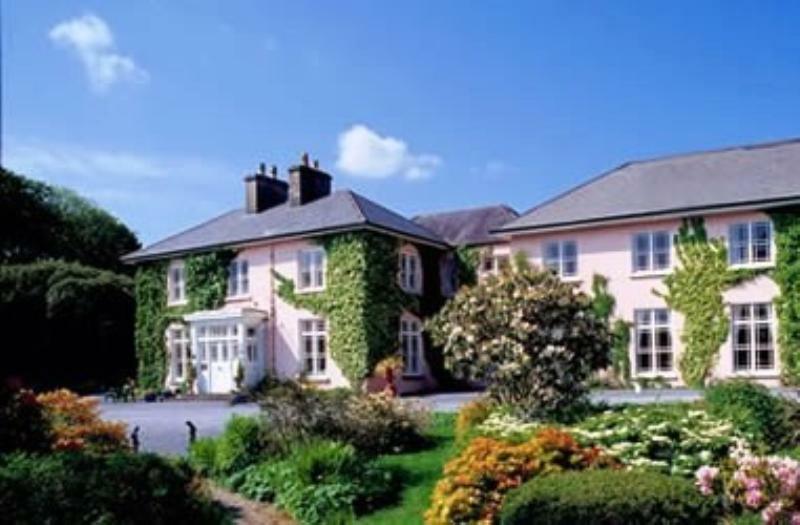 Situated by the shores of the Atlantic just outside Clifden, the Foyle family's pink-washed Georgian manor is lovingly maintained and has the bonus of picturesque gardens overlooking Ballinakill Bay. Inside, there are two enchanting drawing rooms as well as a classically appointed restaurant with mahogany furniture. The daily-changing dinner menu might open with Cleggan Bay crabmeat flavoured with garden herbs and mayonnaise or roast quail on a bed of lettuce with balsamic vinaigrette. Next comes sorbet or soup (say, cauliflower and Cashel Blue) before main courses of roast rack of Connemara lamb with ratatouille and rosemary jus or fillet of wild Renvyle salmon with fennel and orange risotto. To finish, Rosleague chocolate mousse is well ahead of its rivals in the popularity stakes, although date and toffee pudding no doubt has its fervent supporters.